Bloomington gave No. 2 Benet all it could handle before bowing in the supersectional at Normal. NORMAL — Momentum showed no loyalty in the Normal Community Class 4A Supersectional on Friday. First, No. 2 state-ranked (Lisle) Benet had more momentum than it could use in Game 1. Then Bloomington revealed its true talent in Game 2 before both teams turned Game 3 into a thriller. 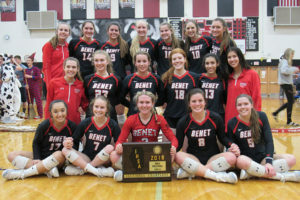 When the leather stopped flying, Benet had escaped with a 25-11, 22-25, 25-23 triumph. “Game 1 was a fluke,” said Benet coach Brad Baker. “We knew that team is really talented. They have some kids on some really high-level club teams. The Purple Raiders, who were making their second Elite Eight appearance in program history, saw a dream season end at 33-5. The only Illinois teams to beat Bloomington were Benet and Normal University High. The Redwings, who have been first three times and second twice in five state trips, improved to 35-5 ahead of next Friday’s 7:00 p.m. state semifinal against Marist (37-3) at Redbird Arena in Normal. The Redwings showed plenty of desire themselves while handling the pressure of 11 ties in the third set. The final three ties – at 21, 22 and 23 – were created by sophomore Kyla Kenney, who finished with a match-high 16 kills. The match ended on back-to-back kills by Benet’s Valentina Tabares, who finished with 10 kills. Creighton-bound setter Allison Van Eekeren had 40 assists and Notre Dame-recruit Hattie Monson added 23 digs. 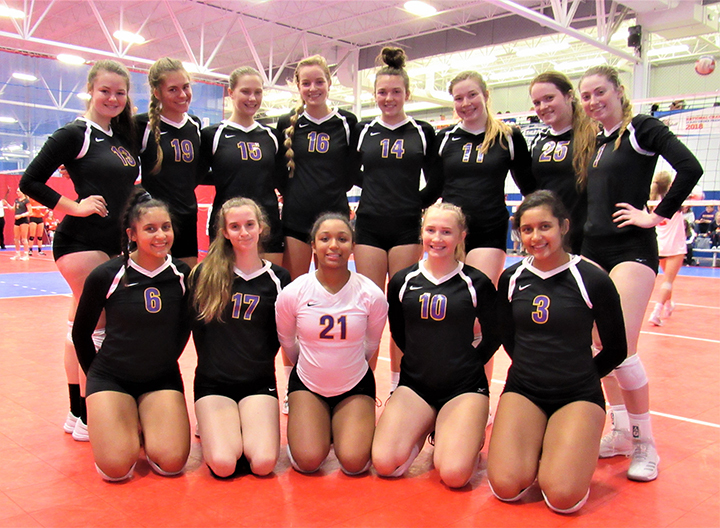 Southern Indiana-recruit Leah Anderson led Bloomington with 9 kills. Illinois Wesleyan-bound Grace Sanders, the daughter of the Bloomington coach, added 8 kills while Lauren Strange had 6. Avery Carr and Wisconsin-Parkside recruit Lexi Packard each had 5 kills. Carr also had 3 blocks. Savvy junior setter Corinna Jones had 28 assists for the Purple Raiders while Fia Parker chipped in 24 digs.